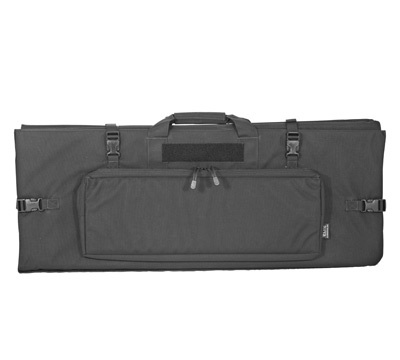 This black folding-panel system allows for a large mat to collapse so it can be carried as easily as a briefcase. 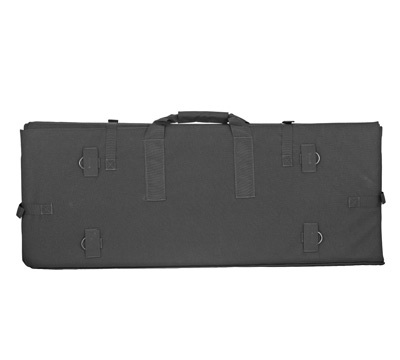 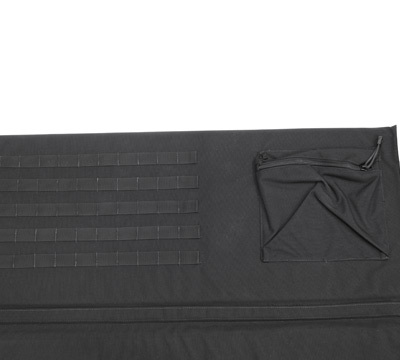 The mat is constructed of heavy-duty 100 denier nylon; has a wide handle wrap and four buckles to keep the form secure; large, non-slip Toughtek™ areas on sections 1a, 2a, and 3a provide a stable shooting surface in various conditions; Velcro loop areas on sections 2a and 3a hold Hook & Loop accessory pouches; section 4a features a MOLLE panel and pocket for accessories and storage; zippered front pocket on section 5b measures 24" x 8" x 2"; covered D-rings on section 3b allow attachment of backpack/shoulder straps; padded with 3/8" closed-cell foam; and will not easily absorb water. 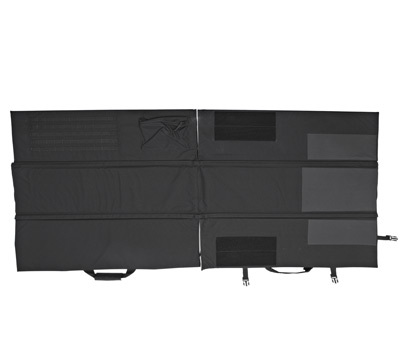 Made by Elite Survival Systems. 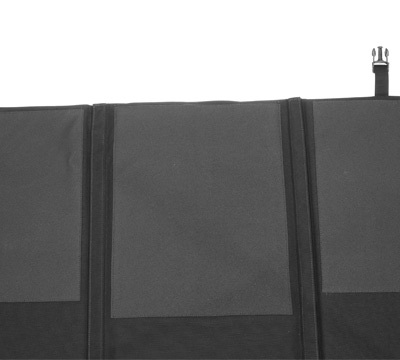 Dimensions: Collapsed - 36" x 14" x 3", Expanded - 72" x 42" x .05".